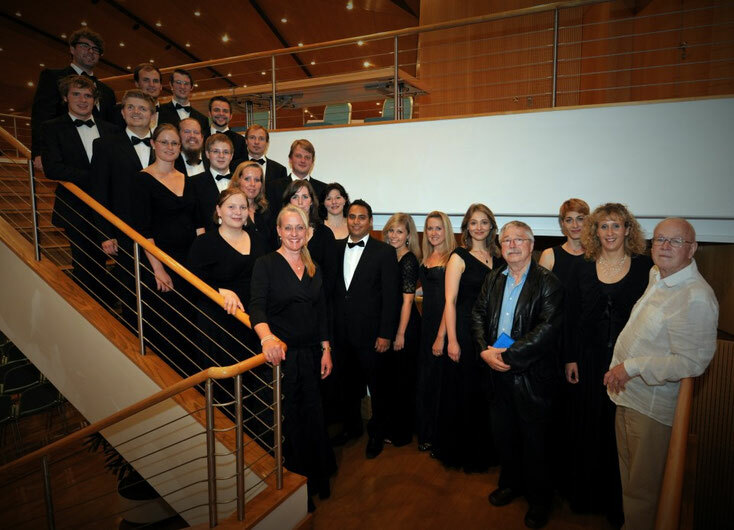 In 1997, Hanno Kreft, a former member of the World Youth Choir and conductor, founded the “Nordic Chamber Choir”. Under the direction of conductor Nicol Matt, the ensemble have become one the most established chamber choirs in Europe. In 2000, the choir was awarded the second prize at the International Chamber Choir Competition in Marktoberdorf. When the choir performed at the 2002 Choral Conductors Conference in Limburg, the Nassau press wrote:”What was impressive was not only the choir’s undoubtedly excellent quality of sound, but also their articulation and intonation [.. .] the choir performed on stage to a sold-out concert hall with incredible vitality and presence, leaving their audience breathless ”. In March 2002 the choir changed its name to ‘Chamber Choir of Europe ‘(CCE), focusing more attention on its European character. To date, the Chamber Choir of Europe have recorded several CDs under the baton of Nicol Matt, generating worldwide recognition. Choral recordings of note include the works of Mozart, Brahms, Mendelssohn and the chorales of Johann Sebastian Bach. In 2011 The Chamber Choir of Europe and the European Chamber Soloists conducted by Nicol Matt were awarded the Diapason d’Or for the recording of motets by Johann Sebastian Bach. Alongside the German Record Critics and the British Gramophone awards, the Diapason d’Or is considered the most prestigious independent European record award for classical music.